As a not-for-profit, member-owned financial institution, TwinStar Credit Union honors our members and communities. And it’s not a new idea – we’ve been at it since 1938. In 2016, TwinStar will direct more than half a million dollars to the communities we serve. We’re proud to make a positive impact through education and scholarship funding and hundreds of charitable organizations we support each year. The list of organizations includes big and small, from Tacoma in the north to Portland in the south. We’re always amazed at the enthusiasm and dedication of our community partners. We look for organizations that share the commitment to our communities that we do. 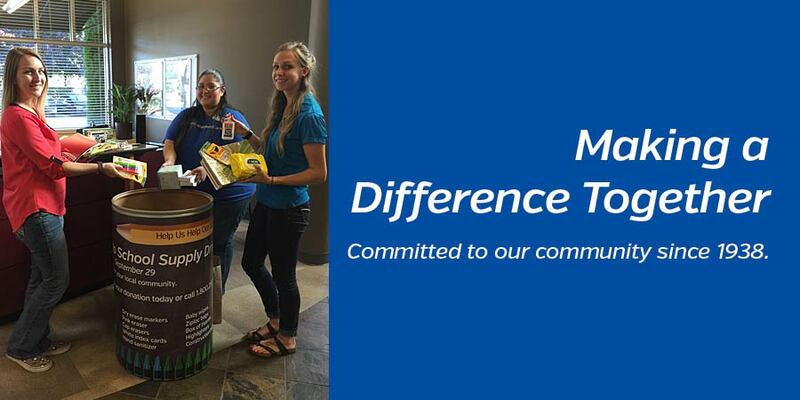 TwinStar Credit Union also encourages our employees to help impact the communities we serve. TwinStar employees are involved with even more charitable organizations and thousands of hours are spent each year working on shared goals. The span or volunteerism stretches from painting and hammering nails on the United Way Day of Caring, to Boys and Girls Club events to economic development activities such as micro business lending. Why do it? Because TwinStar Credit Union firmly believes that healthier and happier people make great communities and that’s the kind of place we want to live! Community commitment is at the heart of TwinStar. The spirit of volunteerism is alive and well at many credit unions. Most credit unions were formed around small communities and have a dedication to people similar to ours. To learn more about the credit union difference and why TwinStar is a great organization to be a part of, click here. To get started on your membership, click here.